Here we see a fairly rare picture. 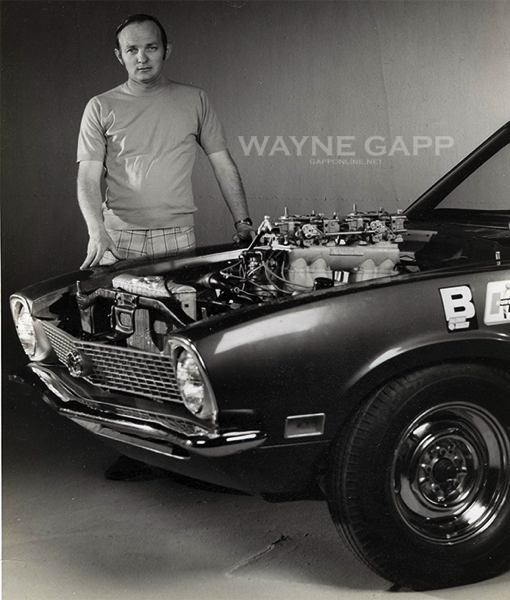 This is a picture of Wayne Gapp and the 1971 Maverick. He tells me that he and Bill Jameson built just before Roush came on board. During this time WG was the Ford’s lead engineer for the Boss 429 in NASCAR and Drag Racing applications.